History of Revolutionary poets from Pakistan named Habib jalib at first. Pakistani inqlabi poet was born on 24 March 1928. His birth name was Habib Ahmad, and he was born in a village near Hoshiarpur British India. He belonged to the migrated family from India to Pakistan after partition. He started working as the proofreader at that time’s famous newspaper “Daily Imroze Karachi.” The simple language in writing was his main strength. He loved to write about common issues related to people. He was committed democrat by his actions. He always stands opposite to martial law. He did not like authoritarianism personally and for his nation. He remained to hate state oppression as the whole. The speaker of Labour class, speaker for women, and speaker of Humanity are some common famous names of Habib Jalib due to his topics of Poetry. He was known as the man who never cut off his verbal and moral services for people. It was not easy to take a stand against the dictators of time. Even he speaks against the elected prime ministers who follow foot’s steps of dictators. The family was affected by this fact immensely. The Nasir jalib book about his father explores new horizons of his personality. He stated in the book that all efforts for the progress of the nation are being met quickly by the verbal aspects. There are many unfortunate events in his life like the Hyderabad Jail incident of his life. He always takes the turn that is associated with the people suffering. He was the supporter of Benazir Bhutto due to her struggle against the Zia-ul-Haq. After Bhutto became prime minister and went to the United States of America, he was one of the critics. No one denies this aspect that Jalib was the person who can speak the truth even in front of dictators. It is very difficult to put complete Habib Jalib bio in limited words because he is mane of unlimited values. Above given are some famous Habib Jalib books. 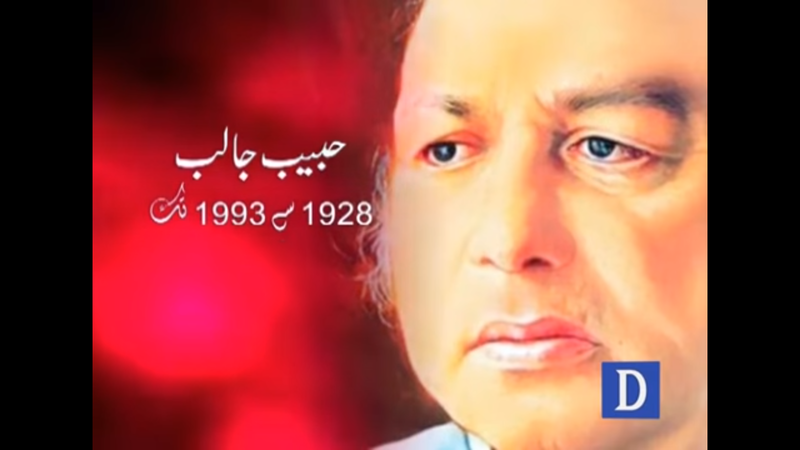 13 March 1993 in Lahore was his death date and location of Habib Jalib. His family did not accept any funeral expenses offer by government of that time. The Urdu language rebirth in Habib Jalib era after Nazeer Akbarabadi. The lifestyle, poetry, and topics of consideration of Nazeer Akbarabadi and Habib jalib are near to each other. People’s man, lifestyle, the manner of thinking, values, and affections towards the people are everyday things as well. Sorrows, pains, wishes, and hopes are some beautiful aspects of his poetry. Jalib is also known as Poet of ordinary people. He gave them a voice without fear. Jalib endorses the fact that literary personalities should play their part for the peace in the country. There is no difference in Jalib’ poetry and socio-political commentary. His poetry was highly understandable by ordinary people. He wrote pro-people at first, anti establishment stances at second. The third topic of his poetry was military dictatorships. Workers movements and inspired students are also some topics in his poetry. Further, these all topics relate to the Habib Jalib Inqilabi Poetry. The purpose of the page was to take you towards the Habib Jalib Bio with his books, death and poetry.